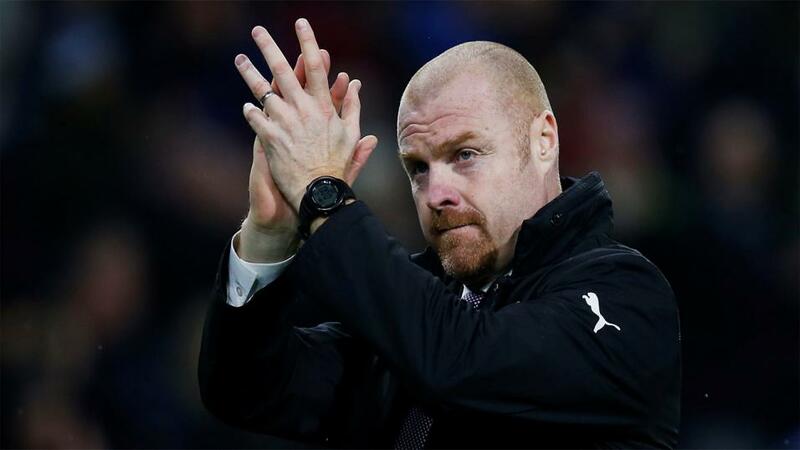 Can Burnley boss, Sean Dyche, mastermind a win at the Viatality on Saturday? "There’s far more at stake for the visitors than there is for the hosts and Dyche can rouse them enough to deliver at a tasty price in what may end up being a must win match for the Clarets." The Cherries are an odd side to weigh up. They tend to play well in batches and then lose momentum out of nowhere. They went seven games unbeaten after Christmas last season to secure their third successive spell in the top-flight and they began this term with just two defeats in their first ten. The trend since has been somewhat disappointing though. They ended last season with a 2-1 victory at Turf Moor against Saturday's rivals to finish in 12th place - the exact position they find themselves in today - but on the whole, they finished last season off poorly and other than the surprise win against Burnley, the only games they won after January were against Stoke, West Brom and Swansea - the three teams to be relegated. And it looks like history could be repeating - since their barmy 4-0 demolition of Chelsea back in January, Bournemouth have managed just one win in their last eight games in the Premier League - away at bottom club, Huddersfield 2-0 - but for all their failings, they're tough nuts to crack at home. Bournemouth have won seven and drawn five of their 16 at home this season so far and the only four teams to beat them are Manchester United, Arsenal, Liverpool and Manchester City. Although not mathematically safe, the Cherries are all but home and dry, looking almost certain to feature in the Premier League again for a fourth season in-a-row next term, and it's their form at the Vitality Stadium that's seen them achieve the feat. Burnley's defeat to Bournemouth on the last game of last season was a sign of things to come. Having finished 18th in 2010, 19th in 2015 (relegated) and 16th in 2018, Burnley knew they were going to finish their fourth Premier League campaign in an incredible seventh place prior to and regardless of that 2-1 home loss and maybe that was the reason for the defeat but it's been a completely different story this season. Calls for Sean Dyche to be Premier League Manager of the Season last term were soon replaced by whispers from some quarters that he should be shown the door after a tardy start to a campaign that started ridiculously early with Europa League action in July! The combination of a severe hangover following last season's heroics and the hindrance of European competition (before they went out to Olympiacos) saw the Clarets begin poorly. Eliminated form the EFL Cup by Burton at their first opportunity to vacate the competition was followed by a fourth-round exit to Manchester City in the F.A Cup (after they'd scraped past Barnsley 1-0 in round four) and they've stuttered and struggled all season in the Premier League. In their favour here though, is the fact that they beat a quality Wolves side 2-0 last time out and they've followed up an initial victory with at least one more win on three occasions so far this season. Only once, at home to Brighton, have they won just one game in isolation and lost their next fixture and that was away to Spurs 1-0 thanks to an injury-time Christian Eriksen strike. Burnley aren't out of the woods by any means and they still sit 17th, just five points ahead of Cardiff in 18th, having played one more game than the Welsh side. They're still trading at less than [10.0] to be relegated but that's miles bigger than the [1.34] they were matched at back in December before they went eight games unbeaten. Losses to Newcastle, Crystal Palace, Liverpool and Leicester followed that potentially season-saving salvo between December 30 and February 23 but the Wolves result on Saturday will give them great heart and recent history tells us they should build on it. The Clarets hosts Cardiff next Saturday and with Chelsea, Manchester City, Everton and Arsenal awaiting them after that, Dyche will be wanting three points here for a bit of extra wriggle room. As much as they need to be respected at home, Bournemouth make absolutely no appeal here at just a shade over even money given their current run of form and their record against Burnley. As already mentioned, they beat Saturday's opponents in the final game at Turf Moor last season but I'm not sure we can read much in to that result, or for that matter, their previous victory against the Clarets, which came in the penultimate match of the 2016/17 season, just after Burnley had secured Premier League survival. Those two games apart, Burnley have a great record against the Cherries. Those two dead rubber defeats are the only losses incurred in their last 11 encounters, stretching all the way back to the last century, and they beat them 4-0 in the reverse fixture in September (their first win of the season). I'm very tempted by circa [1.9] in the Double Chance Market for Draw or Away, to effectively lay the home side, but I'm going to be bolder and back Burnley outright at the industry-wide best of 11/4 with the Sportsbook. There's far more at stake for the visitors than there is for the hosts and Dyche can rouse them enough to deliver at a tasty price in what may end up being a must win match for the Clarets. Games involving Bournemouth usually result in plenty of goals. In 66% of their matches last season there were three or more scored and 62% of their games so far this season have produced at least three. Burnley's average is slightly lower at 59% but given those stats and the fact that their last five encounters have seen at least three scored, backing Over in the Over/Under 2.5 Goals market at just a shade of odds-on looks the sensible play. Yes is odds-on in the Both Teams to Score market and that makes perfect sense given the above percentages for over 2.5 Goals per game for each team and given six of their last seven meetings saw both sides score. The 4-0 result in September being the odd one out. I've also backed Burnley/Yes in the Match Odds and Both teams to score market. If you fancy combining two or more scenarios to build a bet that pays handsomely, click on the Same Game Multi tab at the top of the Sportsbook market and pick two or more selections to build a wager. For example, both teams to score and Dwight McNeil to score in his third game in-a-row pays £5.47 for £1 stake.